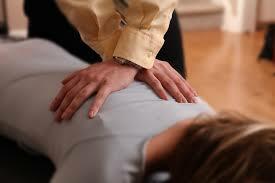 Home Chiropractic Can Chiropractors Help Improve Patient Posture? Have patients asked you about using a posture brace to help correct their sitting habits? Certain chiropractic patients with mild posture issues, meaning that they may be chronic but are not tied to any spinal or other medical condition, might benefit from a posture back brace to improve this condition. There are a number of good ones available, and you can see more info about some of the better ones here. A patient like this will most likely appreciate the quick referral as well as the relatively fast results, and chiropractors get an easy opportunity to help people, which is why many enter the profession in the first place. 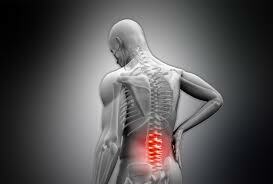 But if the patient does have an underlying chiropractic condition, a back brace will probably do little if any good. These issues are usually easily diagnosed with a quick examination, and thereafter, treatment is relatively straightforward as well. All good exams begin with thorough health history evaluations, because in most cases, family history is one of the strongest indicators about current problems. Next, observe the patient’s gait, because how a person walks reveals a number of problems. For example, people who walk or stand with their legs abnormally spread may have fallen arches. Because the bottom of the foot is not in correct contact with the ground, the whole body is thrown off kilter, resulting in poor posture. While it is not really a chiropractic condition, fallen arches is an easy referral to an orthopedist. Moreover, if the patient is experiencing pain, the location can be a clue as to where the muscles may be weak and so there is too much strain on the spine or another part of the body. Muscle weakness is one of the leading causes of poor posture. So, follow-up tests that measure muscle strength and range of motion are usually a good idea as well. Obviously, if the gait exam signals issues in a particular part of the body, the practitioner should focus further diagnostic efforts in that area. Tissue Damage: If the neck, lower back, mid back, or any other area is weak and/or inflexible, the patient will probably not see very much posture improvement until these conditions are corrected and the muscles are strengthened. Kyphosis: Hunchback is a degenerative spine condition that’s very common in women over 60. While more advanced cases can be life threatening and may require spinal fusion surgery, most people respond well to therapeutic adjustments and other treatments. Scoliosis: This condition is a lot like genetically-induced kyphosis, because there is no cure but there are several therapies available. Again, in extreme cases, surgery may be necessary. Other common diagnoses include unlevel pelvis and head forward. There are a number of biofeedback tools that accurately assess patient progress, and plus are cool. As a chiropractor, your patients count on you to get better. That nearly always means accurately diagnosing the problem, and that also means a speedy and competent referral or an aggressive and well thought out treatment regimen.